Every Christmas Eve we have a crab feed at my house. This year was a bit different because Tom and Junior actually went out and caught the crab for the dinner table. 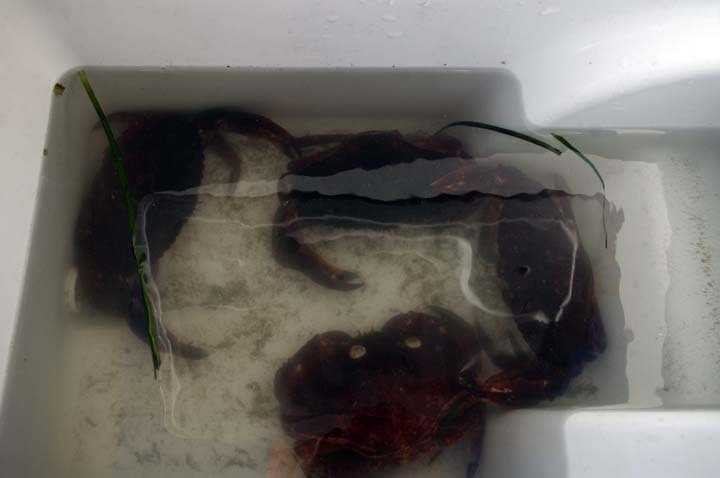 They had great luck catching 6 rock crabs and 6 large Dungeness crabs. More than enough for 5 people, one of which wasn’t interested in eating any crab. Eventually we’ll get Junior to enjoy it. Every year, even when we buy crab, we always have some left over. This year was no exception. My mom always made crab cakes the next day with what was leftover, but of course she’s in Ohio so it was my turn to try my hand at them. Having never made them before I was a bit nervous. But in the end I was really happy with them. So here’s how you can do it too. 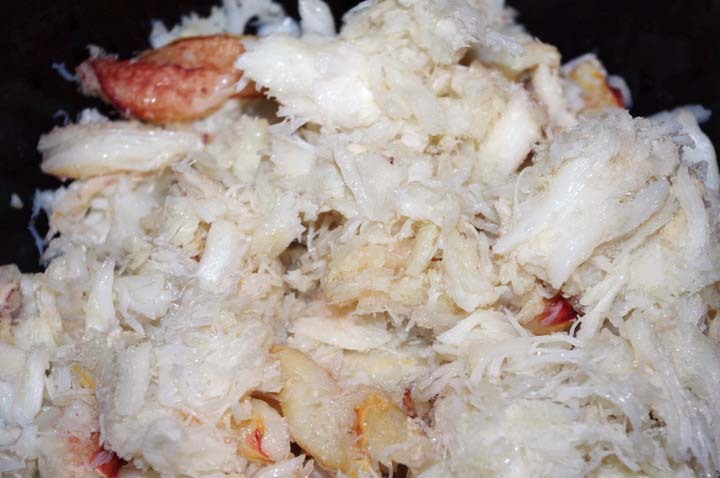 Remove all the crab meat from the shell. Grind the oats up. I like to use a coffee grinder as it gets them fairly fine. Add everything except the oil in a bowl. I made the mayonnaise from scratch. I find that the commercial stuff is a bit too strong when I add it to stuff. I’m not sure what the strong flavor is, but I don’t much care for it. 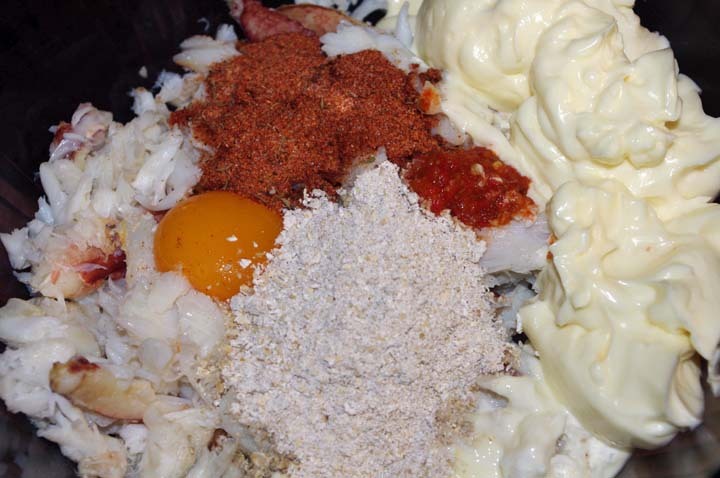 The homemade mayo is much milder and what is left you can use to make an accompanying aioli. Also feel free to add more hot sauce if you wish. A teaspoon doesn’t add much heat at all but rather just builds on the flavor profile. I was surprised when I mixed this all together just how runny the batter was. Because it had egg in it though it should be able to bind well. 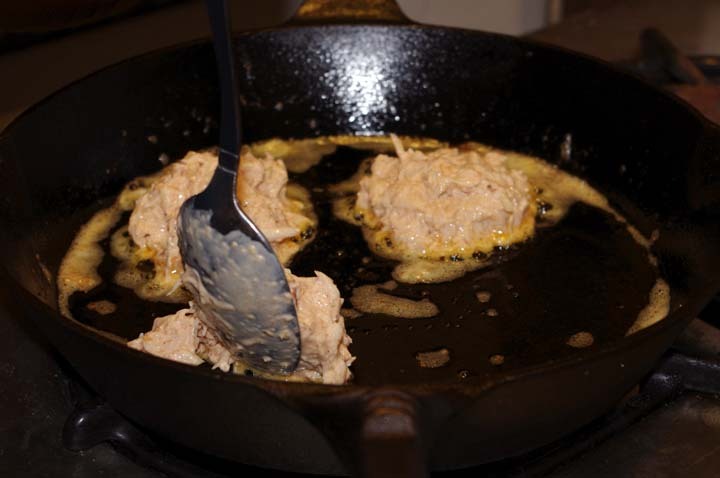 In a hot skillet add the oil over medium high heat and drop spoonfuls of the “batter.” Flatten them with the back of the spoon and then cook until browned. 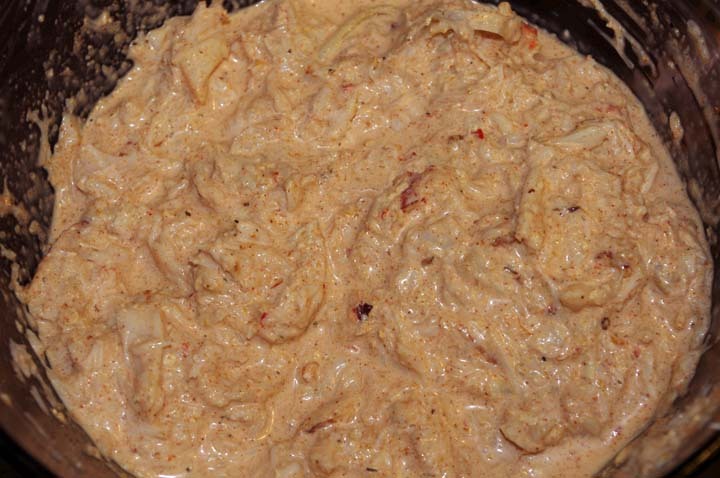 Gently flip and continue to cook until the other side is browned. 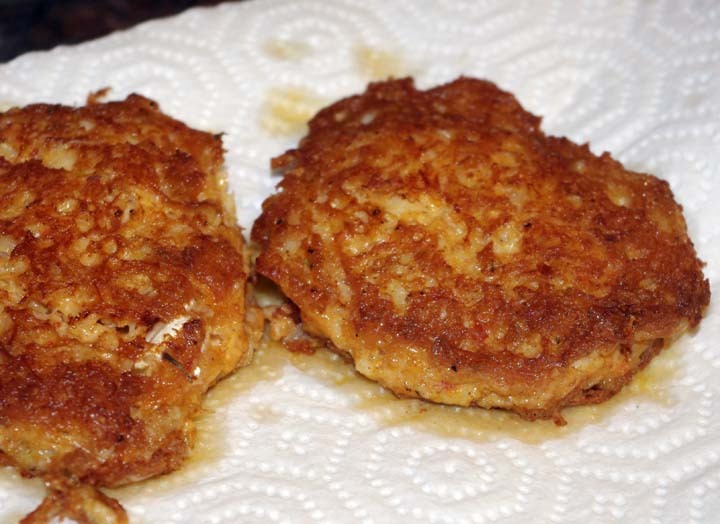 Pull the crab cakes out and place on paper towels to allow to drain. Keep them in a warm oven while you cook the rest of the cakes. 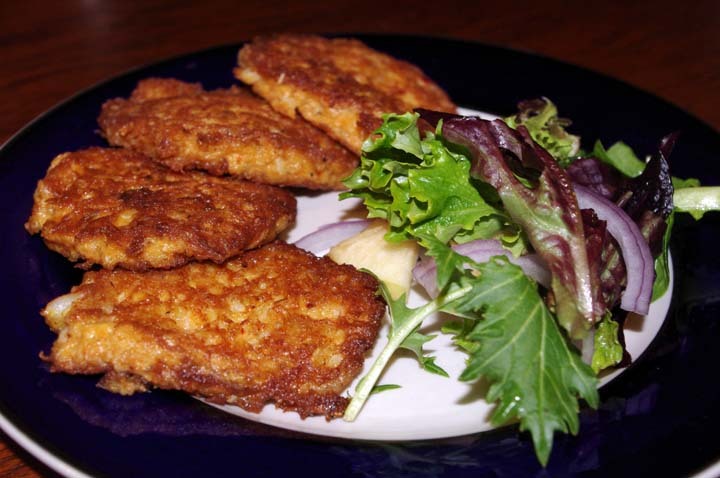 Serve the crab cakes with any sauce that you would prefer. We like to eat ours with more hot sauce.